One of the projects selected by the Kansas Department of Transportation in this year’s Transportation Enhancements Grants is a small rails-to-trails project in Iola. The KDOT announcement described the project as “Construction of shared use path that will provide a community link to the Prairie Spirit Trail“. The city of Iola is referring to the project as the “Missouri Pacific Recreational Trail”. The Missouri Pacific Railway Company built the line through Iola in 1881, coming west from Fort Scott. 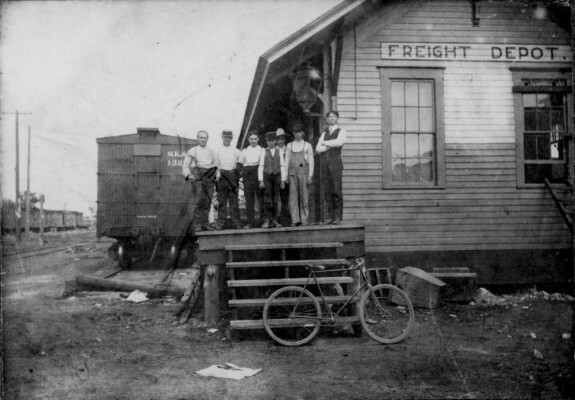 The company filed to abandon the route in the mid 1970s, and most of the tracks were taken up by the late 1980s. The majority of the old right-of-way east of Iola has been lost to adjoining landowners, though the route is clearly visible both from the ground and from the air. Within Iola, the city either owns the right-of-way for the trail, or will be acquiring easements, from the Prairie Spirit Trail east to just past Cottonwood Street, a distance of just over 1/2 mile. 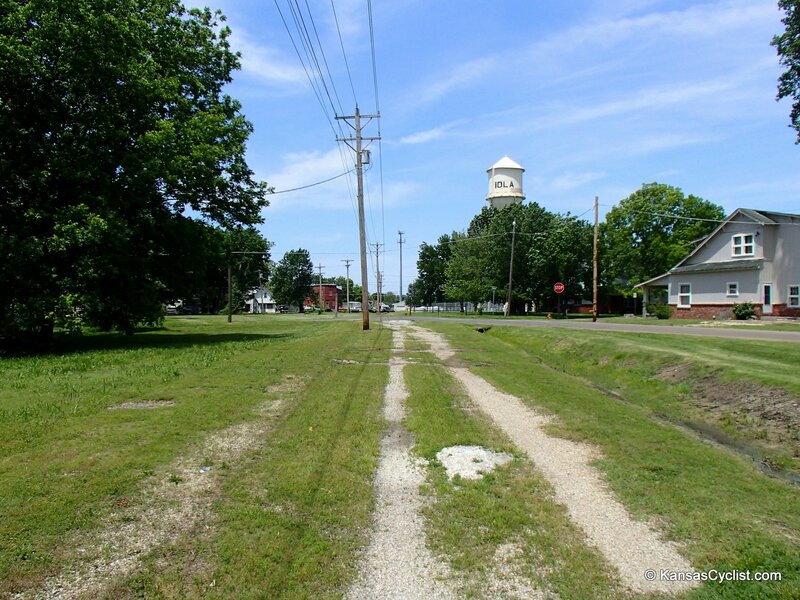 The short trail will provide an off-road connection between the Prairie Spirit Trail and central Iola, with easy links to both the Middle School and High School, as well as to the Allen County Courthouse, and the largest downtown square in America, with restaurants and shops. The Prairie Spirit Trail runs north/south and is shown on the left, with the trail running eastward. Downtown Iola is in the lower center of the map. The city does not anticipate needing a HAWK (High-Intensity Activated crossWalK) beacon as the trail crosses State Street (the main north/south artery through Iola). The city hopes to have final plans ready by the end of summer, and send it out to bid soon thereafter. That would likely put the trail construction in 2014, barring unforeseen delays. Looks like a rather simple conversion! Glad to see that bicycles have been there for over well over a century!